Once an exhibition is up and running, everything may seem effortless and it is easy to forget what went into the installation. In this post, the first of several that give you a glimpse behind the scenes of the Jamaica Biennial 2014, we let you in on what was probably the most technically challenging part of the process: the installation of Laura Facey’s large wood sculptures, Walking Tree and Needle for the Planet. Because of the unusual size and weight of the works — 14 meters tall for Walking Tree and nearly 10 meters long for Needle, with both weighing several tonnes — the decision was made to exhibit the works outdoors, in the formal gardens at Devon House. The problem was however to get these works from Laura’s studio in rural St Ann to Devon House and then to mount them there without damaging the gardens. Special precautions also had to be taken to ensure that the works were stably mounted, for the safety of visitors and the works themselves. With other works, the installation was a piece of precision engineering, kindly contributed and very ably executed by Tankweld Limited. The process started with several site visits, to determine where and how the works were to be mounted. The largest and heaviest of the two sculptures, Walking Tree, posed special challenges because it is top heavy and susceptible to wind. The Tankweld team therefore decided that it needed to be anchored with steel plates and 3 feet long steel pegs which would be concealed below the lawn. December 2 was the big day on which the two sculptures would be transported from Laura’s studio at Mount Pleasant in rural St Ann to Devon House and mounted there in the formal gardens. The day started with loading the two sculptures, which were at Laura Facey’s studio at Mount Pleasant in rural St Ann, onto a large flatbed truck, using a second boom truck. This was followed by what must have been a hair-raising drive to Kingston via the notoriously steep new North-South High Way and the equally challenging Bog Walk Gorge and Flat Bridge. The convoy arrived on schedule at Devon House in the early afternoon and the installation of Needle was completed without too much difficulty, although special care had to be taken not to damage the Royal Palms that fringe the formal gardens. For Walking Tree a larger boom truck was needed and this was done the next day. It was an even more delicate operation, as can be seen in the accompanying photographs. Once the installation was completed, we all agreed that it had been well worth the effort and the two sculptures make a visually stunning intervention in the Devon House gardens, right in front of the manor’s facade. The installation has been very popular with visitors and has served as the backdrop for countless photographs. The works can be seen there until March 15, after which we will have to embark on the equally challenging task of removing them! We wish to use this opportunity to extend our sincere gratitude to Tankweld Limited for making this project possible. 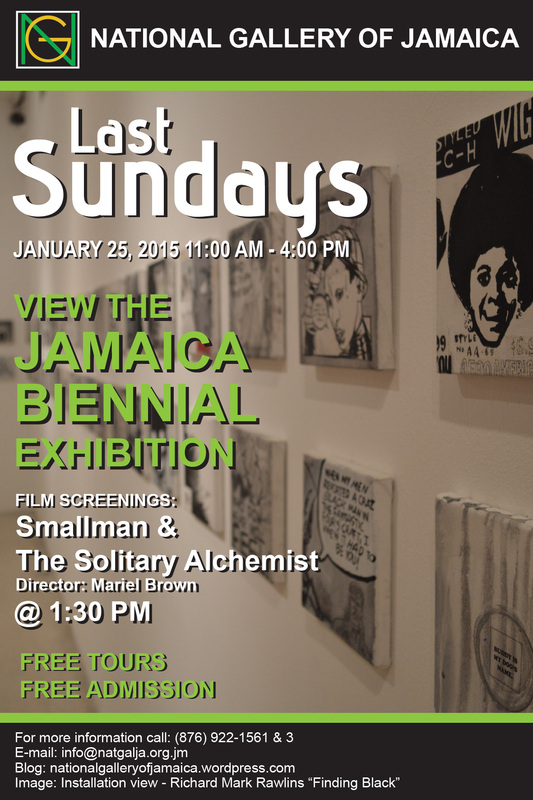 The National Gallery of Jamaica’s Last Sundays programme continues on Sunday, January 25 with a screening of two films: Smallman: The World My Father Made (2013) and The Solitary Alchemist (2010). Visitors will also have the opportunity to view the main exhibition of the Jamaica Biennial 2014. Doors will be open from 11 am to 4 pm and the film screening starts at 1:30 pm. The Jamaica Biennial 2014 exhibition, which opened on December 7 and continues until March 15, can be seen at the National Gallery of Jamaica, which houses the main exhibition, with satellite exhibitions at Devon House and National Gallery West in Montego Bay and one project, by Bahamian artist Blue Curry, on the streets of Downtown Kingston. The exhibition features Jamaican artists, both local and from the diaspora, and, for the first time, also specially invited artists from elsewhere in the Caribbean. One of the National Gallery’s largest and most popular exhibitions to date, it has already received significant acclaim as a landmark exhibition, which provides exposure to the diversity of contemporary art from the Caribbean region and its diaspora and serves as a platform for new development. Among the artists in the exhibition are the winners of the 2014 Biennial’s two awards: the Aaron Matalon Award winner Ebony G. Patterson (at Devon House); and the co-winners of the inaugural Dawn Scott Memorial Award, Camille Chedda and Kimani Beckford, whose work can be seen at the National Gallery of Jamaica. The films that will be screened on January 25, Smallman and The Solitary Alchemist, were both directed by Mariel Brown whose documentary film Inward Hunger: The Story of Eric Williams recently won the Best Local Feature Film jury prize at the Trinidad and Tobago Film Festival, and has been screened in London, England; Kingston, Jamaica; Florida, USA and Port of Spain, Trinidad. Smallman: The World My Father Made, a short film, tells the story of John Ambrose Kenwyn Rawlins an ordinary Trinidadian of modest means. He was a great father, grandfather and husband; an obedient public servant. Yet the most vivid part of his life was lived in a small workshop beneath his house. In there, at the end of his workday, he made things. From simple push toys to elaborate 1/16th scale waterline battle ship models and dockyards, miniature furniture and dolls houses, he painstakingly constructed everything from scratch, sometimes spending upwards of a year on a single model. The film is an exploration of the worlds both real and imagined that Kenwyn Rawlins made, as remembered by his son Richard Mark Rawlins, who is also one of the specially invited artists in the Jamaica Biennial 2014. 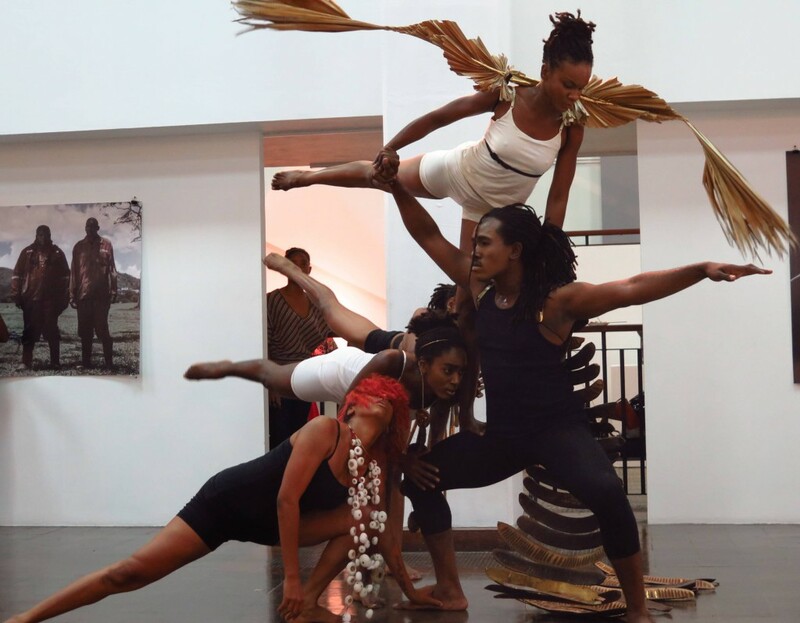 Love Is Not Enough was a dance performance, billed as an “environmental performance”, which was held at the main opening reception of the Jamaica Biennial 2014 on December 14, 2014. The performance involved wearable sculptures from The Girl and the Magpie‘s Fragile Jamaica collection and was presented in collaboration with dance company eNKompan.E (Neila Ebanks and Kim‐Lee Campbell, Paul Newman, Tristan Rodney, performers), Hans De Man (soundtrack) and The Girl and the Magpie (concept). “Nature takes years to grow trees, build fertile soil, develop reefs, etc … humans only need minutes to destroy all of this. And there is no ‘Undo’ button when it comes to the environment.” The Girl and the Magpie proposed the idea of a performance that would use necklaces from the Fragile Jamaica collection, to Hans De Man and eNKompan.E. Together they developed their personal interpretations, through music for Hans and through dance for Neila Ebanks. The resulting performance is a collective translation of the idea of the necessity of the protection of nature’s beauty and fragility. The performance invites the audience to reflect on the fragility of Jamaica’s ecological balance and possible actions for its preservation. At the performance on December 14, four performers thus wore fragile sculptures made from natural materials native to Jamaica. The performers moved through the gallery space and the crowd, on a soundtrack which slowly increases in intensity. The soundtrack was made from sounds issued from nature, in combination with an organic electronic soundscape. Slowly the performers started breaking and tearing apart the sculptures they were wearing, ending up with their total destruction. At the end, the performers dissappeared and left the shattered pieces behind on the ground. 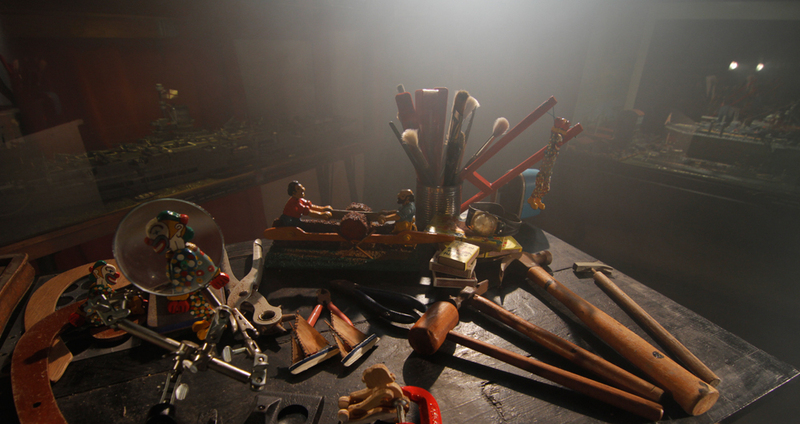 During the course of the Jamaica Biennial 2014, which is on view until March 15, at the National Gallery of Jamaica, Devon House, National Gallery West and, for Blue Curry’s project, on the streets of Downtown Kingston, we will be posting short features on projects, works and artists in the exhibition. Here is the first, on Matthew McCarthy and his Regal Zeen project, which was launched as a performance at the Biennial’s main opening reception on December 14. Matthew McCarthy was born in Kingston in 1992. He is a Jamaica-based illustrator and mural painter who has spent the last five years indulging his obsession with Jamaican street signs, old school dancehall illustrations and global street art movements through an art practice that engages and challenges the traditional art institution. Since his graduation from the Edna Manley College of Visual Art in 2013, McCarthy has exhibited at the NGJ in the New Roots (2013) exhibition of ten emerging artists, and been a key figure in the development of street art in Jamaica, via first the Paint Jamaica project and later the Paint Jamaica initiative. His work looks at issues of identity and politics, articulating hope for the expansion of political and artistic horizons. Matthew McCarthy’s Regal Zeen is the start of a new project, a print and online “zeen” that will make regular interventions into Jamaica’s social and artistic environment. McCarthy says: “Regal manifested out of the need to establish a sustainable and artistic lifestyle archive among young like-minded creative individuals, with the greater intention of inspiring a productive change in our environment. These images represent a shift in the very being of our nation’s people towards an expedition of consciousness.” For the December 14 performance, McCarthy and a group of fellow artists “invaded” the National Gallery wearing African masks. They were accompanied by a mobile sound man, who played conscious music the team had selected, and handed out prints of the Regal Zeen preview to patrons at the function. 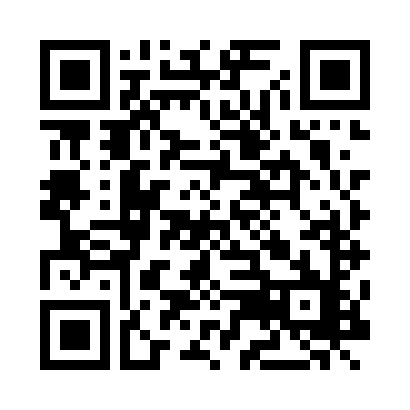 An e-version of the Regal Zeen preview has been posted to the Draconian Switch magazine website and can be reached by scanning the QR Code at the top of this post. One of the most exciting new developments in the Jamaica Biennial 2014 is the collaboration with Devon House, which is hosting Biennial projects by six artists, five from Jamaica and one from Bermuda: Greg Bailey, James Cooper (Bermuda), Laura Facey, Ebony G. Patterson, Oneika Russell, and Cosmo Whyte. 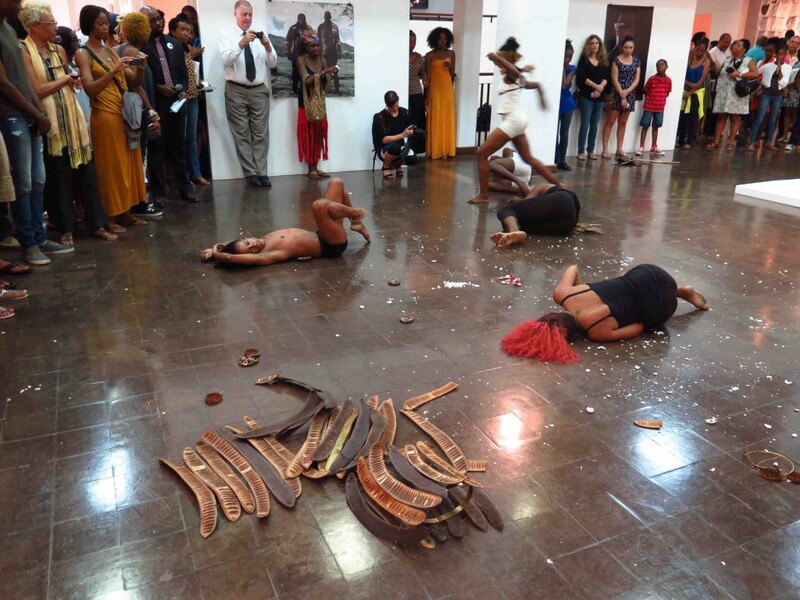 Having some of the Biennial exhibits outside of the National Gallery of Jamaica itself helps to give the Biennial greater visibility and encourages greater engagement from a variety of audiences – in addition to Devon House, part of the biennial (the Renee Cox exhibition) is also shown at National Gallery West at the Montego Bay Cultural Centre and one project, by Blue Curry, can be seen on the streets of Downtown Kingston. The collaboration with Devon House is the first of what we hope will be an ongoing programme of shared projects and comes at particularly opportune time. The National Gallery first opened its doors at Devon House on November 14, 1974, forty years ago, and operated there until mid-1982, when the institution was relocated to its present building on the Kingston Waterfront. Showing part of the Jamaica Biennial 2014 at Devon House thus amounts to a home-coming on the occasion of our 40th anniversary. The six artists selected for the Devon House exhibition of the Jamaica Biennial 2014 were selected f because the thematic content and formal qualities of their work have relevance to the context of the House and we opted to make interventions into the space of the House that would make visitors think in new ways about its history and significance. The young painter Greg Bailey is represented with a large formal portrait painting of a black man in a tailored suit seated in an ornate chair, provocatively titled Boasy Slave. It takes the place of the portrait of the 18th century Governor Peter Beckford, in the dining room. This substitution comments ironically on the social and racial dynamics of colonial and postcolonial Jamaica and also makes reference to the history of Devon House itself, as the first plantation style Great House to be built and owned by a black Jamaican – Jamaica’s first black millionaire, George Stiebel – to the distress of the 19th century white elite. Lady Musgrave Road, the story goes, was constructed because Governor Musgrave’s wife did not wish to see Mr Stiebel and family on their verandas when she drove out to go to town.